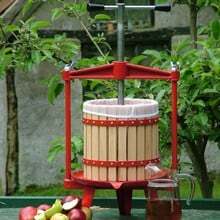 This 12 litre Cross Beam Fruit Press allows you to produce up to 4½ litres of freshly pressed juice from your apples or pears in one operation and will help revolutionise your fruit pressing. 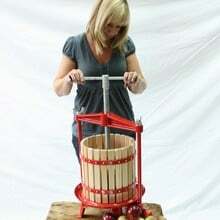 Buy 12Ltr Fruit Press, Crusher and Free Straining Bag - Save an Extra £30! 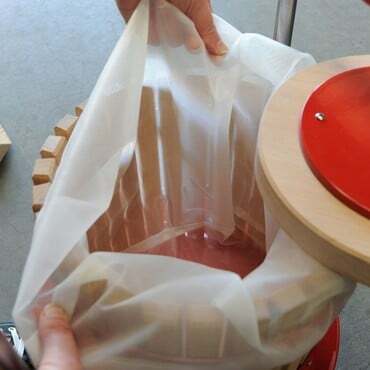 Simply fill the fruit press cage with an optional straining bag and add your crushed fruit, then the handle easily winds to force the fresh, pure juice through the beech staves. 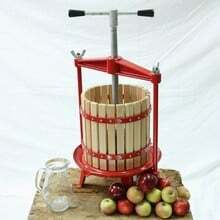 Ideal for pressing apples and pears to create delicious juices, perfect for homemade cider and perry! We've run some tests to find out just how efficient using a crusher prior to pressing your apples can be - and the results are staggering! After cutting 30 apples into quarters and putting them straight in the press produced 350ml of juice, but running the same amount of quartered apples through a crusher first produced a whopping 1600ml of fresh juice - and increase of 357%! Easy and really quite fun to use, helped me get through all our windfalls and produce our first batch of cider, very excited to taste the result! 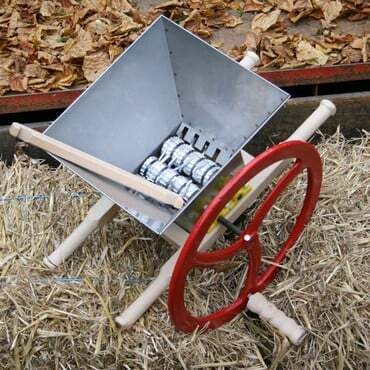 It is easy to use and the crusher is effective once the teeth and hopper are lined up correctly. 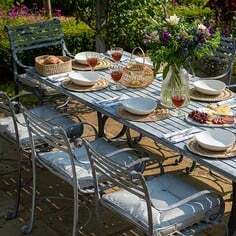 The paint does seem to flake off the press. 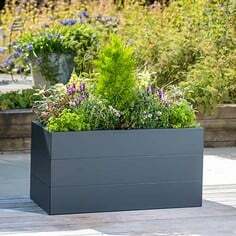 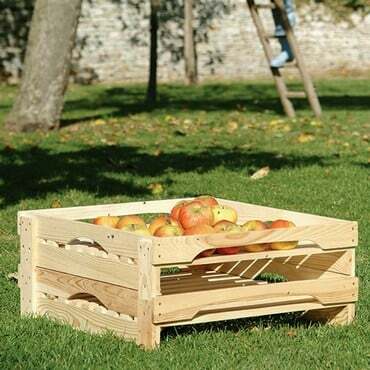 The size is perfect for family size crops of apples. 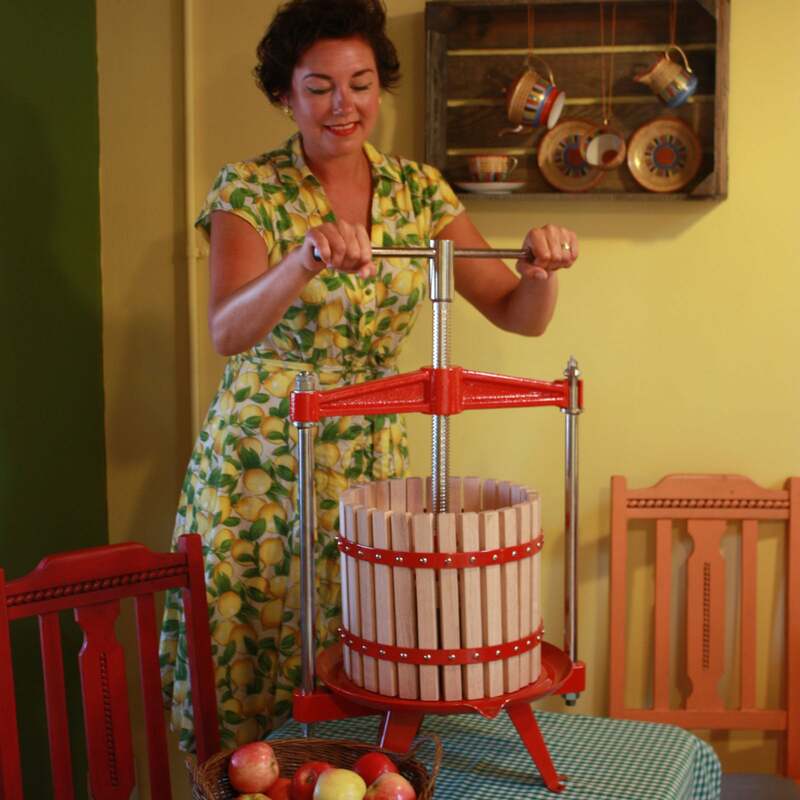 Our horticulturist says; "Crushing and pressing fruit to extract juice is a process rich in history, with the production of apple juice and cider stretching back to Norman times. 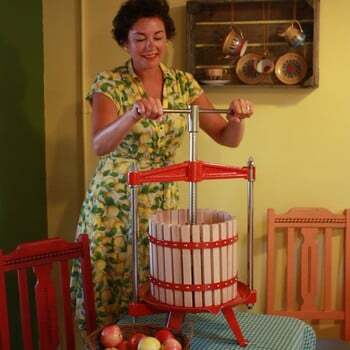 Things have moved on a bit since then, and today, pressing your own home-grown fruit could not be easier. 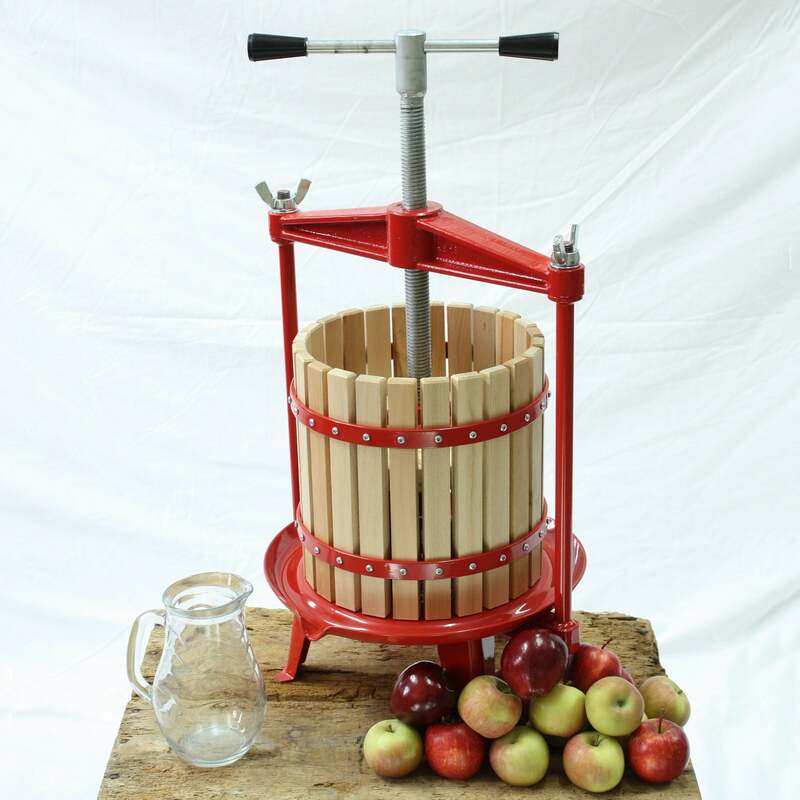 "These easy to use presses are a great way to start pressing your own fruit and are suitable for squeezing every last drop of juice from apples, pears and grapes and soft berries don't put up much resitance either.
" Collect up windfalls and blemished fruit you would otherwise eat or store, or make friends with neighbours who have an annual glut of fruit from their trees, get ready to apply a bit of elbow grease and the sparkling fresh juice produced is ideal for drinking, freezing, making syrups, ices and jellies or can even be turned into cider or wine. 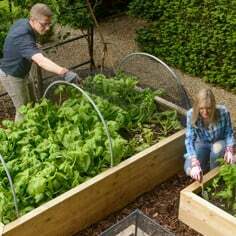 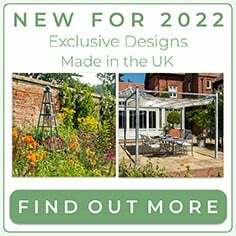 "It's also possible to experiment with different varieties of fruit to concoct your own unique flavoured juice and don't forget the compacted fruit pulp created when pressing – known as pomace – is suitable for the compost heap. 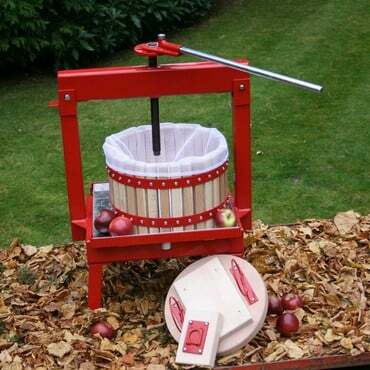 "We've also run some tests to find out just how efficient using a crusher prior to pressing your apples can be - and the results were staggering! 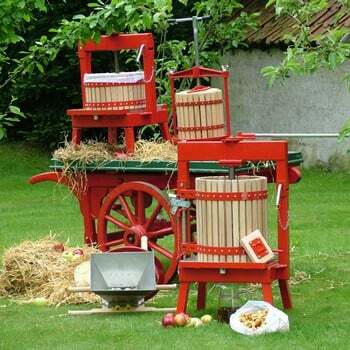 After cutting 30 apples into quarters and putting them straight in the press, we collected 350ml of juice, but running the same amount of quartered apples through a crusher first produced a whopping 1600ml of fresh juice - an increase of 357%!" These fruit presses are made to last. 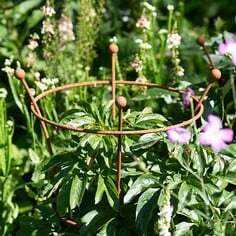 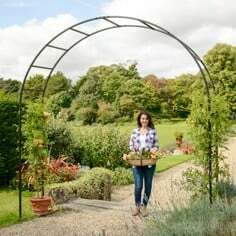 High quality beech staves and strong steel frames make them perfect for use with your apples and pears. The apple presses produce delicious juice for instant drinking, cider-making, or freezing - you just won't believe how quickly and easily the apple press - along with a helping hand from the fruit crusher - turns apples or pears into juice! 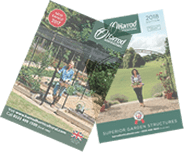 Harrod Horticultural's range of fruit presses are incredibly simple to use and come with a comprehensive instruction booklet to get you started. 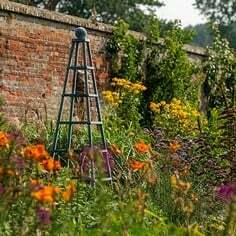 Many of you have more than one fruit tree, and unless you have extrodinary appetites, I am willing to bet that (on a good year) they produce more apples and pears than you can comfortably eat. You could, of course, store them, but how about making apple juice instead? 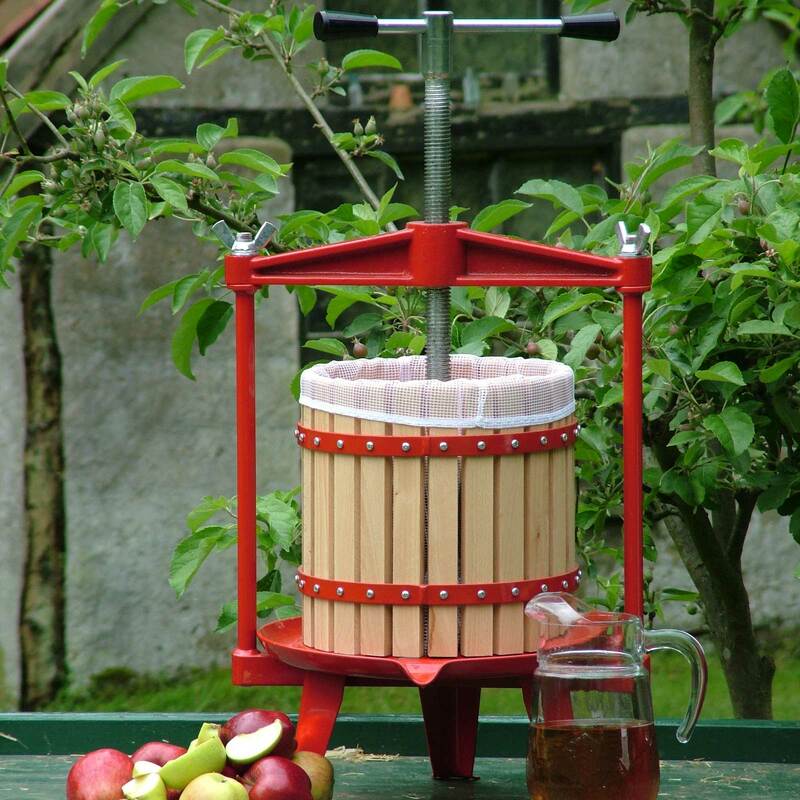 Harrod Horticultural have a range of good-looking fruit presses that can convert your windfalls into something delicious.